It's moms inviting friends and strangers to our play dates or out to coffee in obedience to God's prompting. As a mom of 3 littles under 4 I was looking for a place to connect and belong. Motherhood can be both fulfilling and isolating, sometimes at the same time. 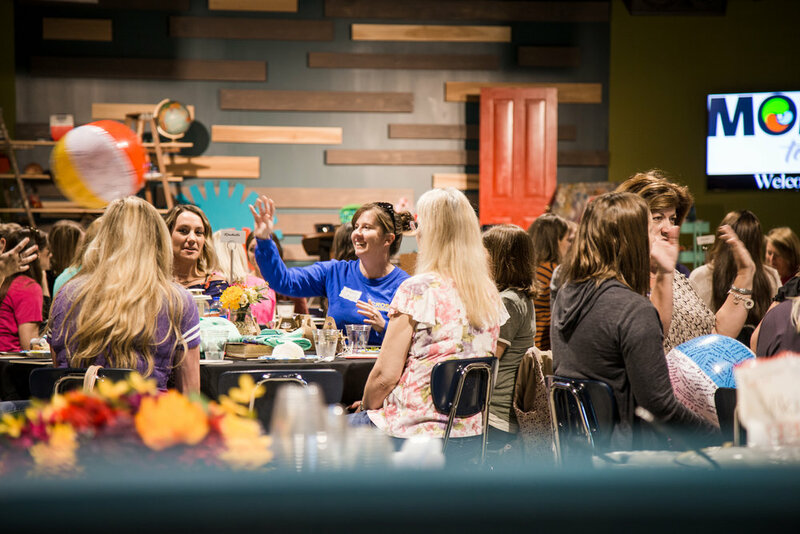 We were new to the area and I was desperate for a community of moms where I could share my fears and frustrations, compare sleepless nights and potty training stories and build friendships that would follow me (and my kids) through the next decade. We had been attending Westside for several months, but I had no idea they had a moms group. My plan had been to join a local MOPS group, but the one closest to me was full. I was pretty devastated that my ideal moms group wasn't going to be a reality, so I did what any mom would do. I took my kids to CFA and ate my feelings. God has a way of showing up when we least expect him. I was sitting in CFA eating my breakfast and another mom and I strike up a conversation. In the past this might have been something I would have tried to avoid, but we immediately connected because both our kids were playing together and starting preschool that week. Somewhere during the conversation church came up and we discovered we both attended Westside. She asked me if I knew about the Moms group and proceeded to tell me about it and how to find it on the website, which was important. This mom didn't attend the mom group because of work, but I'm so thankful she listened to God and engaged me that morning. I immediately went home looked up the group and sign up to attend a meeting. I was hooked after that initial meeting. It was what I needed and desired. Moments like that show how God is moving in this ministry. It's moms inviting friends and strangers to our play dates or out to coffee in obedience to God's prompting. It's asking for prayers over difficult situations and sharing our struggles without judgment. It's changing the culture of the group to include moms with kids of all ages and in various stages of life. It's allowing women to come together with a shared purpose to learn and grow. I have been so blessed by this group in a short amount of time. My kids have also formed relationships that without the group I don't feel they would have made. This group was there when I was at one of my lowest points. My prayer is that other moms are impacted, encouraged, and blessed by MOMS Together. For every mom, in every stage, YOU belong. MOMS Together is meeting every 1st and 3rd Wednesday. Join us!